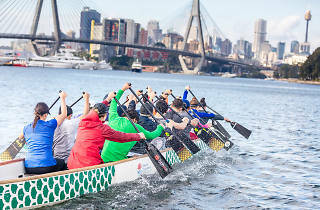 If you saw the dragon boat races at Chinese New Year and fancied yourself as a potential competitor, now’s your chance. Rally 4 Research and Sydney Zodiacs are hosting a Paddlathon supporting mental health charities. You don’t need a team to sign up, just consider your rowing prowess when you choose your adventure and they’ll fit you into a crew. 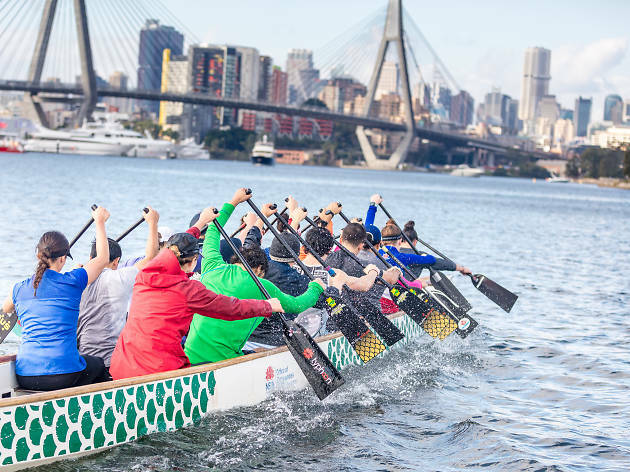 You can experience an introductory 3km spin around Blackwattle Bay, take it up a notch with the 10km race or really challenge yourself and commit to a marathon event. Dragon Boating is all about teamwork: you’ve got to move in unison to a resounding drum beat to slice through the water in your dragon-headed vessel. And you can’t get through a race without enjoying the social camaraderie of succeeding (or failing) beside your teammates. It’s just good for your head. All proceeds from the day will be supporting leading mental health bodies, the Black Dog Institute and Headspace. Ticket price is in the form of a minimum $20 donation towards these groups.